Our stand at NAACAM 2019 is ready and waiting. Visit us at Booth 179 in Hall 3. We are looking forward to meeting you. A report of the South African Automotive Masterplan Project. READ MORE. The AFSA AGM was held on 13 June. David Mertens was elected chairman, joined by Hector Molale (Hulamin) and Shawn Williams (SurTec) as vice-chairs. Shawn Williams – SurTec, Jason Govender as alternate, and welcome to our new sponsor, Scott Bader with Patrick O’Shea and Louise Hofmeyr as alternate. We look forward to working with Exco. View the photo gallery here. 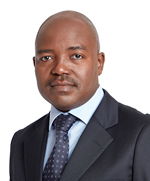 We are pleased to inform our members that Mr Muzi Manzi has been appointed Executive Director of AFSA. Muzi will commence his duties in August 2018. He is currently Director Non-Ferrous Metals at the DTI, a position he has held for 10 years. Prior to that Muzi spent 12 years at Eskom in various technical, industrial energy and customer services roles. Muzi holds several degrees, including a MSc Technology Management from the University of Pretoria, and is currently completing a Master of Technology: Business Administration at the Cape Peninsula University of Technology. He has had a long and productive association with AFSA and is well-known to many of our members. We are proud to have Muzi leading AFSA and we welcome him into our ranks. View the press release here. The Aluminium Federation established a panel of experts – Brian Dennis, Brian Drew, Rob Lawrence and Tony Paterson – to provide technical advice to member companies and users of aluminium in general.